Here are just a few of the conservation challenges that threaten to harm New Mexico’s economy, environment and human, animal, or plant health: Aquatic Invasive Species, Chronic Wasting Disease, and Whirling Disease. An Aquatic Invasive Species (AIS) is any non-native plant, animal, or pathogen that can harm our economy, environment and human, animal, or plant health. 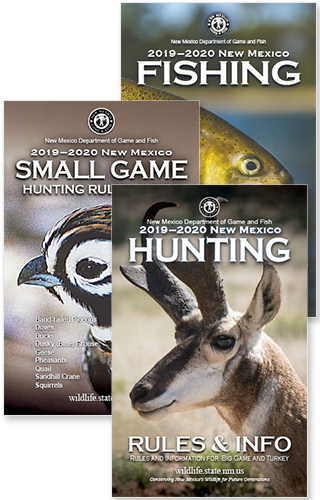 The New Mexico Department of Game and Fish, along with state, federal and private partners, are working diligently to stop the spread of Aquatic Invasive Species. “Chronic wasting disease” was first recognized by biologists in the 1960s as a disease syndrome of captive deer held in wildlife research facilities in Ft. Collins, CO, but was not recognized as a transmissible spongiform encephalopathy until the late 1970s.